Description This is complete SL-C9 drum assembly, comprising the spring assembly, upper drum, disk assembly (holding the heads), lower drum, head motor and shield. Similar designs are present in all later Sony Betamax models. Models such as the SL-C7 and before use a slightly different drum and other manufacturers also use their own designs. 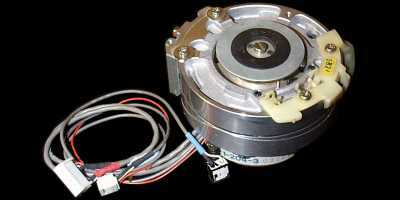 Symptoms Different parts of the drum can wear or fail in different ways leading to a selection of problems. One common symptom experienced on the SL-C9 and SL-F1 is a thumping noise during tape rewind. This is due to wear on the upper drum assembly. All models will produce poor pictures when the video head wears out. Of course poor pictures will also be produced at any time during the life of the head if the head tips become clogged. Head wear is noticeable by observing streaking between sharp dark to light or light to dark transitions (i.e. high frequency components of the picture). These symptoms appear first on new recordings made on the same machine as opposed to play back of pre-recorded material. For hi-fi models, wear on the video heads goes hand in hand with wear on the hi-fi audio heads causing bad hi-fi audio. (See also head cleaning guide). Fixing Before proceeding with any work, make sure that the video head are not clogged (see the head cleaning guide). If you suspect that the problem is due to a worn upper drum, then you will preferably need to replace the upper drum. This is normally a fairly straight forward task but must be performed with precision to avoid damaging the delicate video head tips. The upper drum is held by a single bolt from the side and is removed using the appropriate Allen key. For hi-fi models, the task is more complicated because of the HiFi transformer assembly which sits on top of the drum as you see it from above. Another notable exception is the SL-C9 / SL-F1 where a brass plate is also used to secure the upper drum. This plate is easily removed. 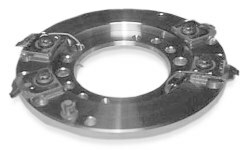 This complete unit can be replaced, although care should be taken to ensure that there is correct clearance (0.3mm to 0.6mm) between the shield and the rotor of the head motor when replacing. This is achieved by using a set of thickness gauges. Confirm the colour of the lead wires before removal. Do not pull out the head disk by force. The surface of the inside diameter where it touches the upper drum assembly may be scratched if care is not taken. If it is too hard to pull out the head disk, insert two screw into the "screw holes for removal". These are "unused" on the top of the drum. Insert two screws into the screw-holes and tighten the screws little by little mutually. The disk should then slowly come away from the drum. Be careful not to touch the head tips either by your hand or by bumping it in to anything. They are very fragile and easily break off. Install the head disk upright on the upper drum assembly. If the disk is installed aslant by force, the surface of the inside diameter will be scratched. When removing or installing the head disk, turn the disk to the 90 degree position to reduce the risk of the head tips catching anything during the removal. Has the head disk been installed perfectly? If the disk moves a little to boths sides centering around the screw-holes for installation, the installation is perfect.